5.25 floppies containing programs, data sent to us to recover the data in a readable form. Most were Atari 800 formatted with 40 tracks on one side Single Density only to give all of 90k capacity. Some disks were also found to be Atari 1050 Enhanced Density or Double Density disks 128 bytes per sector and 26 sectors on every track making 130kb per disk. The disks could be flipped by having another hole punched in the mirror position to the normal hole. The 1050 disks used Atari DOS filesystem. A disk image was made of each disk (which could be converted to ATR format for Emulators). Files were extracted and text files converted to Microsoft Word on a PC computer. If you need a Atari 5.25 Floppies Retrieve data to read on Windows PC service, then contact our friendly company. 5.25 floppies containing programs, data sent to us to recover the data in a readable form. Most were Atari 800 formatted with 40 tracks on one side Single Density only to give all of 90k capacity. Some disks were also found to be Atari 1050 Enhanced Density or Double Density disks 128 bytes per sector and 26 sectors on every track making 130kb per disk. The disks could be flipped by having another hole punched in the mirror position to the normal hole. 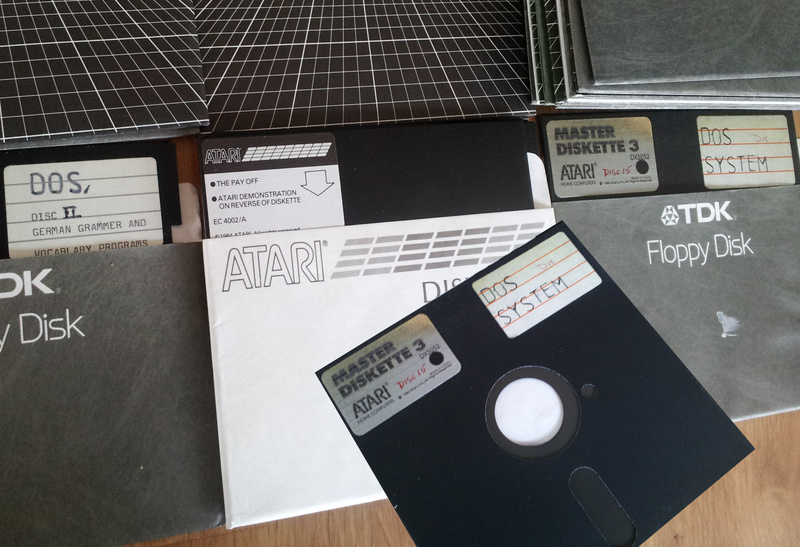 The 1050 disks used Atari DOS filesystem. A disk image was made of each disk (which could be converted to ATR format for Emulators). Files were extracted and text files converted to Microsoft Word on a PC computer. .